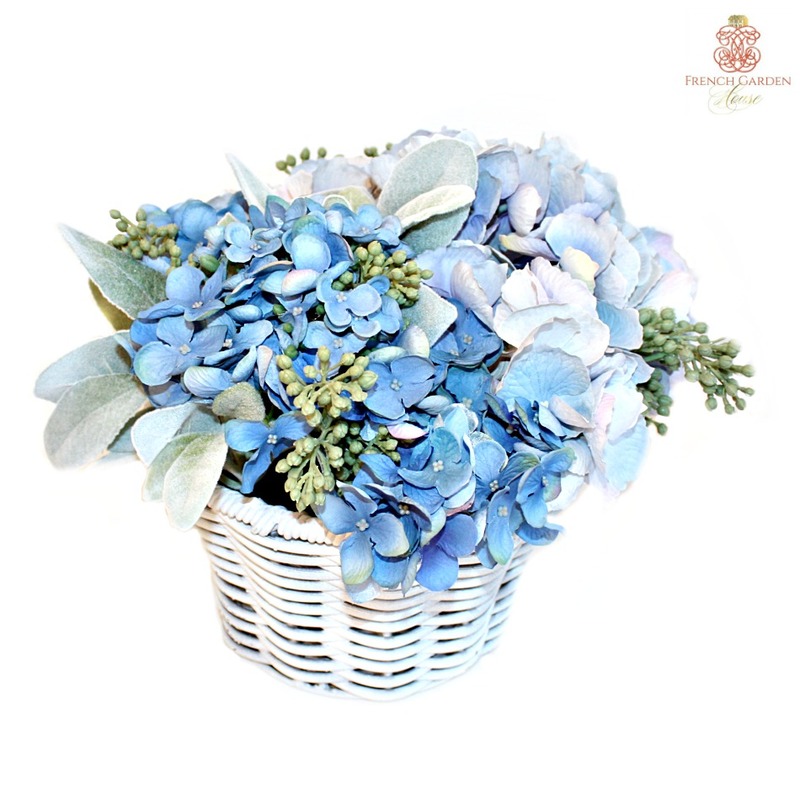 Exquisite blue hydrangeas and green sedum are artfully arranged in a French Country white basket together with velvety soft lamb's ear. 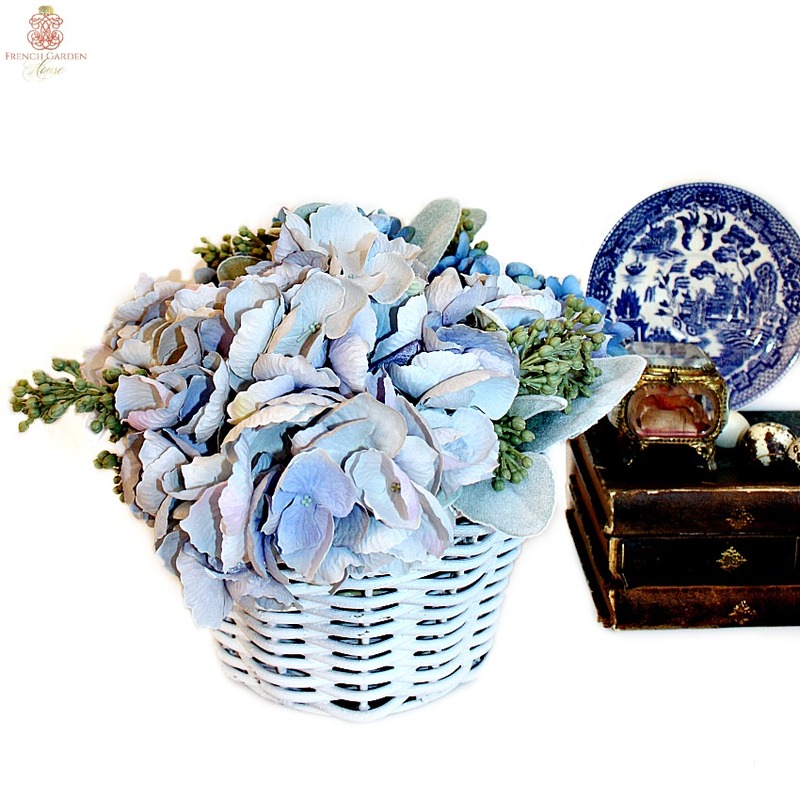 Add this stunning arrangement to your dining table or entrance hall console to bring seaside memories of a coastal vacation in France to your home. 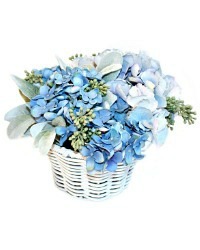 Measures 12" x 11-1/2" x 11"